Boston Celtics guard Kyrie Irving sprained his right knee in the second quarter of Saturday's loss to the Los Angeles Clippers and did not return. Irving pulled up after fighting through a screen with just over four minutes left in the second quarter and although he stayed in the game for a few possessions, during which he missed a driving layup attempt, he limped out a minute and a half later. 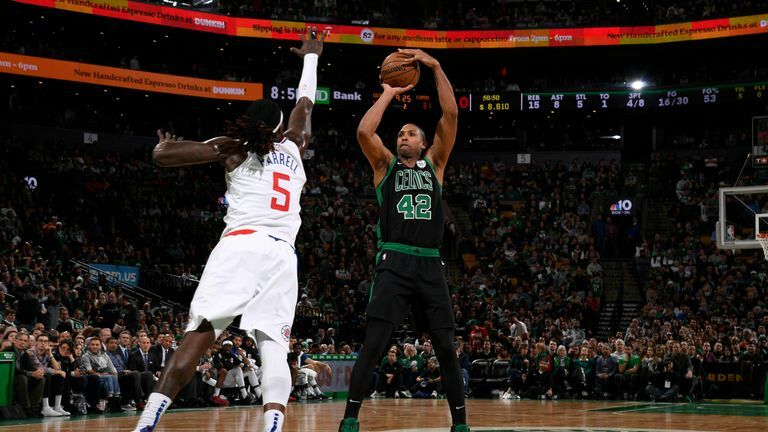 The Celtics led by as many as 28 in the quarter and still were up 20 when Irving came out, but the Clippers outscored them 28-12 in the third quarter and 42-26 in the fourth on their way to a 123-112 victory. Highlights of the LA Clippers' visit to the Boston Celtics in Week 17 of the NBA. It was the largest comeback in the NBA in the last two seasons. Irving had 14 points in as many minutes before leaving, making his only three-point attempt and all five free throws.He entered Saturday averaging 23.8 points per game in 32.9 minutes across 46 appearances. The defeat leaves Boston 35-21 and fifth in the East, albeit well clear of the Brooklyn Nets (29-28) below them.